After over 6.5 years of buying pampers we are officially out of diapers!!! He's such a big boy!! I can't believe it!! Just so you know this was totally all on his own. Two weeks ago on Sunday he woke up and wanted to wear big boy underwear, so we let him. 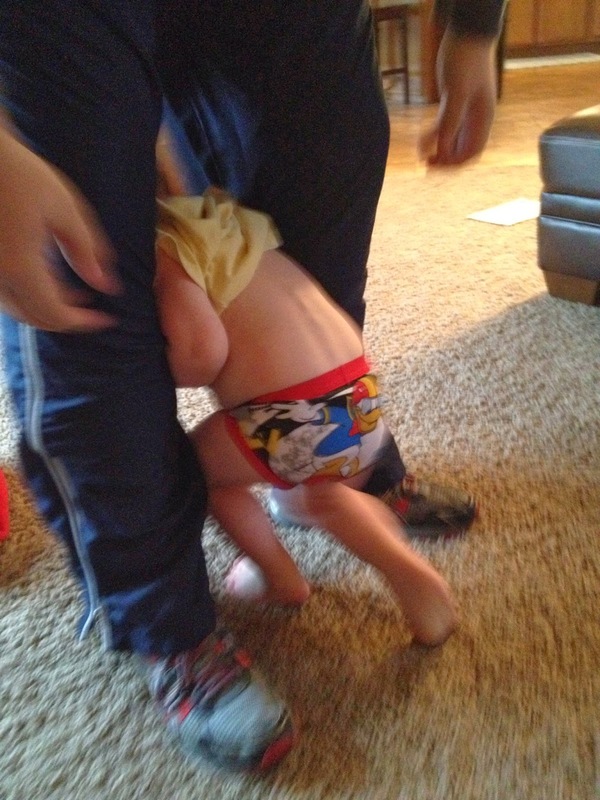 Then it got time for church and he did NOT want to wear a diaper. He insisted on underwear! I was really watching for our number to be put up on the screen during church... it wasn't! Then I thought he would be different clothes when I picked him up... he wasn't! He was ready! We were doing this!! His little hiney looks so cute in underwear. He has done such a good job telling me when he needs to go. He did have a few accidents the first week, but this week has been super! 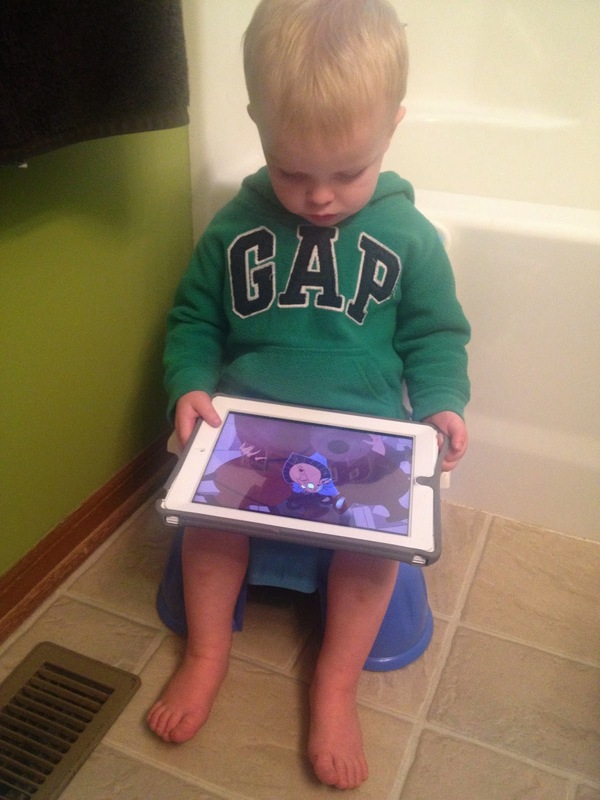 He even got the pooping in the potty down! For both Hunter and Maggie, when they pooped in the potty the first time we took them to Target to let them pick out a toy. It was such a big deal! So last Wednesday while the big kids were at AWANA we got to take Archer by himself to pick something out! He is always trying to play with Hunter and his basketball goal, but it was just to high. 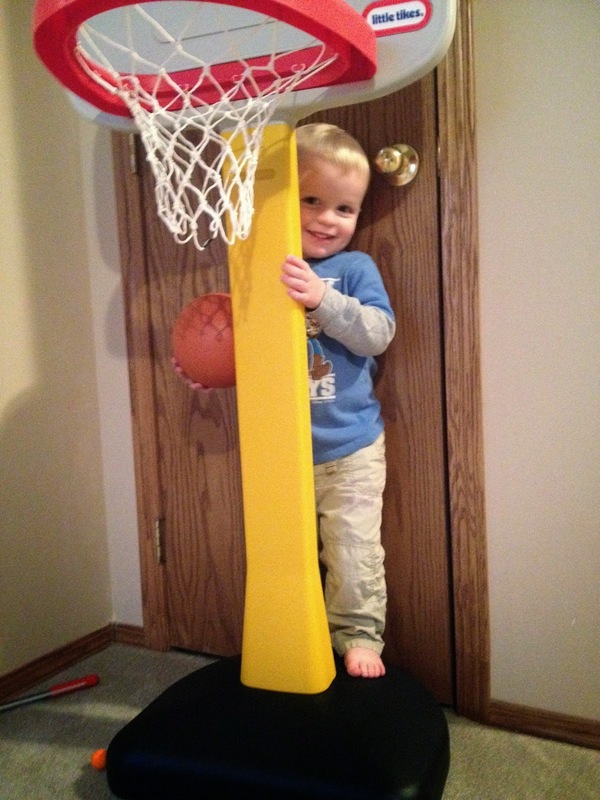 So we found this basketball goal (and it was on sale last week). He loves it!! I am so, so very proud of our little man! He is growing up way to fast, though! I can't believe how big he is getting! He is such a hugh blessing to all of us! We love you, Archer-man!!! !